Show of hands. Who has started their Holiday shopping? I admit, my hand is not up. Seems hard to believe, but the big rush of shopping days is just around the corner. “Black Friday,” as it’s called in retail, the day after Thanksgiving marks the first day of the shopping blitz as we speed toward the Holidays. If you like to take a bit of time and enjoy the spirit of the Holiday season before, or even in spite of, the imminent craziness, perhaps you should check out some of the Holiday shows in the metro to get that “Peace on Earth,” feeling instead of feeling as though you need to wear protective gear just to make a trip to Target. 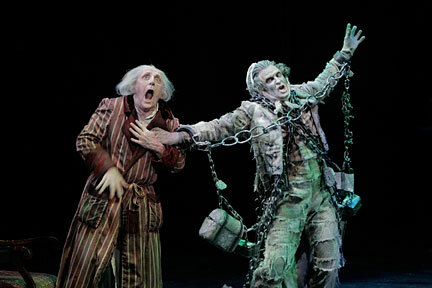 A great way to kick off or celebrate the Season is by catching A Christmas Carol at the Guthrie Theater. It opens Friday November 19th and runs daily through December 30th, with the exception of Thanksgiving, Christmas day, and most Mondays. Some dates have more than one performance. Check availability of dates and show times. This year A Christmas Carol is a bit different than what you may have seen in the past. It’s the same story you remember, but it’s adapted by Crispin Whittell and directed by Joe Dowling. This fresh take on the story features a dazzling new set and costumes, beautiful music, fantastical aerial effects, and a cast of Guthrie favorites for those familiar with past shows. Tickets are available online, so pick a date and reserve yours now. Prices range from $29 to $69, depending on the seats. Discounts are available for children, students and seniors, so check the website for pricing. The Guthrie Theater is located at 818 South 2nd Street in Minneapolis. Call the Guthrie Box Office at (612) 377-2224 (toll-free 877-44-STAGE) for info or tickets. Also visit the page on the Guthrie website.